are these people! 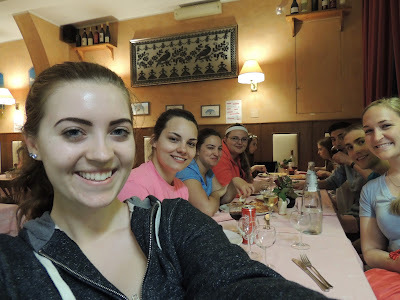 This the group of students I spent the majority of two weeks in Italy with as I studied abroad (posts about that are soon to come!) and simply put, they're my new favorite people. We all got along so great on the trip and they honestly made these last two weeks as incredible as they were. I'm so grateful to have met them all and I'll be darned if we don't stay in touch now that we're back in our corners of the state. And since I'm on the topic of Italy, I will be making references to the trip a lot in this post. I don't mean it to come off sounding bragging, but since half of the month was spent outside of the country, a lot of my new experiences have become favorites. This month was filled with incredible food, I'm surprised I didn't gain ten pounds! As one would assume, we had delicious food in Italy, but I guess you just cannot beat a home-cooked meal because this month I want to highlight my mum's breaded chicken and turkey pot pie. They are simply incredible. Meat isn't a huge part of my diet, but this month it became my main source of protein and I loved every second of it. I do have to mention some of the food in Italy, though. 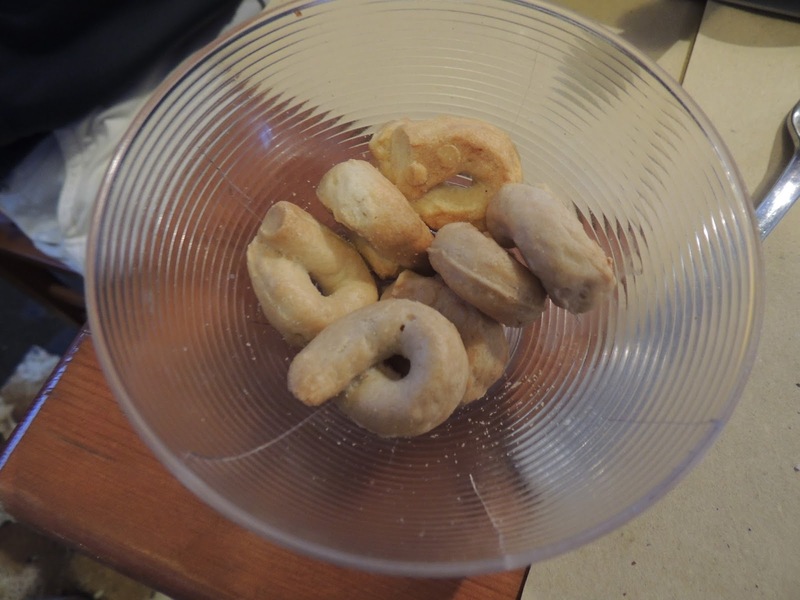 Tarallucci is a small, breaded snack that's a bit doughier than a pretzel and is lightly salted like a peanut (see picture). Apart from the salt, they're flavorless, which makes me question why I loved them so much, but when they were brought to our table at one of the restaurants I was hooked! Then there was the fruit. Oh my lordy the fruit in Italy is unbelievably sweet, but above all I must mention the tomatoes (and tomato sauces) I had in a majority of my meals. I typically can't stomach the taste of tomatoes when they're along but I was popping their cherry tomatoes like they were candy and the sauces were so yummy. Last, but no where close to least, my favorite thing I ate in Italy was the gelato. It's my kryptonite. Creamy and smooth...oh so refreshing! They're served with adorable tiny spoons, and the flavors were so precise it was scary. Here's a list of gelato flavors I tried: cocco (coconut), pineapple, mango, green apple, kiwi, peanut butter, dulce latte, wonder cookie, Oreo, lemongrass, licorice, eggnog, yogurt, mint, caramel, cinnamon... they're all so good! I didn't realize it until I got back to the States but I never took a solid picture of the gelato selections I sampled from (fail) so here's picture off Google. And even though it was a more a drink that a treat, I will also tack on moscato moscato moscato. That is all. With the semester finishing up in April, I've been able to get back to blogging and it's been lovely! 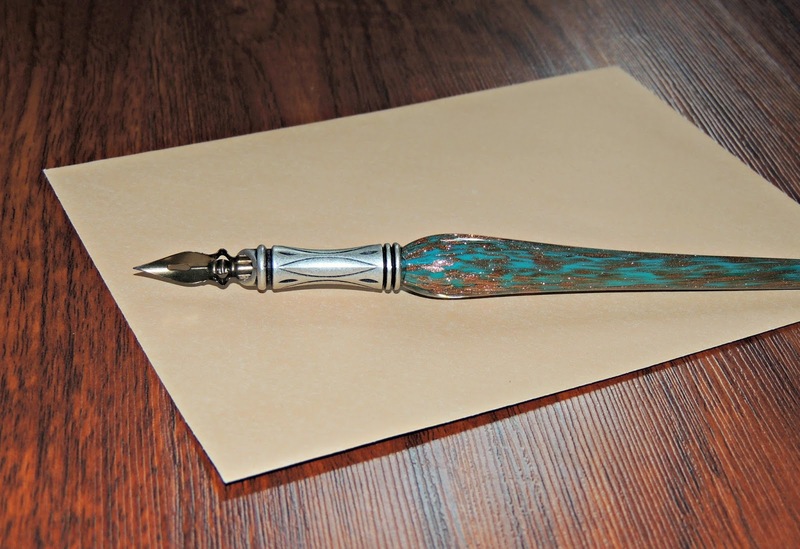 I'm at a positive, encouraging part on my blogging journey with a great atmosphere. I hope to make blogging a part of my daily life and am excited to see where I can take it. Also, wandering around Italy became a favorite past time this month. 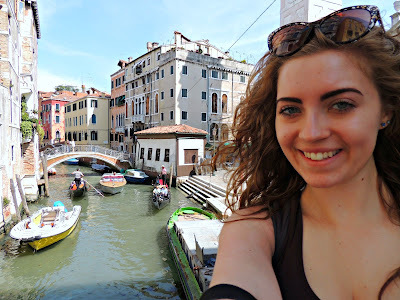 I did a bit of exploring by myself in Venice and I fell in love with the serenity. I mean, just look at that view! Julianne Hough is a celebrity I've always admired, but it wasn't until recently that I started following her blog posts. They're short, sweet and she posts a lot of tips and tricks that I find useful and fun to read. The one I've linked above talks about idea boards for designing of any kind. 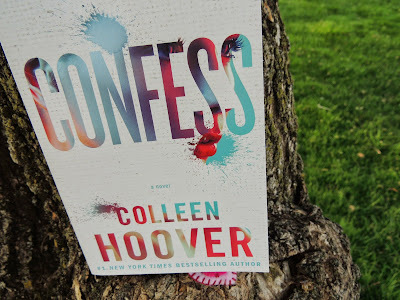 I only finished one book this month before my trip, but it was a great one so it counts: Confess by Colleen Hoover, which I have a book review of if you're interested to hearing my thoughts. Excerpt from my review: But then, just as Colleen's books always do, the last chapter happened and it tugged on my hard heartstrings so hard it nearly burst from my chest. With that, I was like FIVE STARS! Five incredible, forever-even-when-I-can't loving stars! And then I cried because that's what I do when I love something so much. This month I purchased a glass quill from Murano and a silk headscarf from Rome. I've already worn the headscarf and am excited to use the quill. Until then, it'll just look pretty on my bookshelf. I missed watching Trina's BookTube videos while I was gone! After catching up on some sleep, I sped through the 8+ videos she had uploaded during my absence. 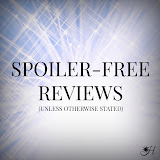 I particularly enjoyed her upload on bookish pet peeves. She's gunna love me for displaying this thumbnail, lol! I watched three movies this month: Avengers, Still Alice, and Love, Rosie. I really enjoyed them all, but if I had to pick one I think Still Alice is my favorite. The acting, cinematography, story itself, and the awareness it brought to dementia/Alzheimer's was fabulous. I love Julianne Moore and Kristin Stewart had a solid performance. Like I Can by Sam Smith - Sam Smith's voice is that of an angel. Simple as that. The Fool by Ryn Weaver - After popping up on my iTunes radio, her songs became an instant obsession of mine. I hate not being able to hit the high notes as I sing along but the melody and combinations are so beautiful. Only because I ended up showing my study abroad class this video and it because an inside joke throughout the entire trip, I will mention this marvelousness again. In case you didn't catch it before, an animator's wife told him a joke while she was drunk. He recorded it, set it to animation, and it's the best thing I've ever seen. It's a good one xD Sorry, love! Heehee.